Richmonders pitch 419 names for Maymont's new bear. | 30th Anniversary Issue | Style Weekly - Richmond, VA local news, arts, and events. Richmonders pitch 419 names for Maymont's new bear. 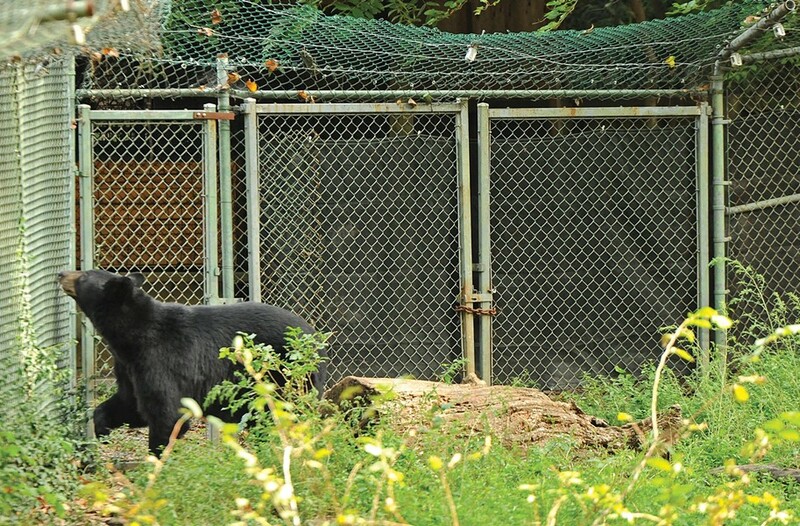 In February 2006, the city euthanized Maymont's two resident black bears so they could be tested for rabies. Why? A local mother reported that one of them bit her 4-year-old son's hand after he climbed over a fence and reached into the bears' enclosure — to feed them an apple, early reports said, although the mother later denied this. The bear carcasses were tossed into a landfill. Please name the bear "WIKATIDO." This a combination of Doug Wilder + Tim Kaine. Maybe they will both be happy. The name we chose is "Tugols." To break down the name and tell you what it means. T — is for Governor Tim Kaine. ug — comes from Doug Wilder. O is for "our." L — is for little. So you see what we have done. I think Quagee is a cool name for a bear. I think it's fiminen and strong. ... I think it's kind of deffrent. So he would be the only bear named that. Quagee. That would be cool to call Quagee. The name I chose for the bear is: Snoby or Snowby. Sir: I have some names for the Maymount Bear for your consideration. Kando Geta Darkle Ruda Shecky Lako. The bear arrived in May. He will be living at Maymont. My suggestion is "TUESDAY." It was the day Maymont received him ... and the name bears a slight sound that resembles the "two who died." Why not name the bear Wilder, he seems to be the one fighting so hard for the bear. THE BEAR NOT THE PEOPLE. "Don Feed." As in, "Ya'll, the sign sez: Don't Feed the Bears!" We suggest you name the new bear Willie. Willie Bite. Maybe it will remind people not to touch! Lol. The name chosen was Phoenix.